The future of drug and alcohol screening is indefinite, considering how quickly legislation is changing around drug use and screening privileges. In the United States and Canada, the public is becoming more and more vocal about their dislike of invasive drug screens and is pushing for legislation to have it banned. The public is also vocalizing their support of recreational drug use in many areas, so companies will have to decide if they will continue to enforce drug testing even when the law no longer supports their cause. In essence, the public opinion of drug and alcohol screening is evolving, and employers, legislators and the public alike will have to be prepared for the changes that are coming. The ethics of drug and alcohol screening are very complicated. The appropriateness of any given screen should be measured carefully rather than handled blithely. Drug and alcohol screening became resented by the public because of how policing it felt. It became common for an employee to have a simple accident in the work place, one that any sober person is capable of having, and then immediately be inundated by demands to comply with a drug and alcohol screening. Similarly, anyone whom a police officer doesn’t like the looks of may be subjected to a drug or alcohol screen, despite never showing any signs of being intoxicated. Initially, total power was given to employees and law enforcement officers to instigate a screen based on any whim they had. Presently, people are pushing for the necessity of more verifiable “just cause” in order to initiate a drug or alcohol screen. The ethics of recreational drug use are also heavily under debate. With a number of states legalizing substances like marijuana for recreational use, it is clear that the public is not as critical of recreational drugs as they were in the past. This presents a conundrum for authority figures who still strongly enforce drug and alcohol screening. Their policies are becoming unpopular, which means that as employers, legislators and law enforcement officers, they too will become unpopular, which is not in their favor. Only time will tell how drug and alcohol screening controversies will resolve. Invasion of privacy. It is argued by critics of drug and alcohol screening that the procedure is invasive. This could mean the nature of the procedure or how liberally it is being exercised. Drug and alcohol screening are capable of revealing very personal information about a person, not all of which is actually valuable for assessing their eligibility to do something or go somewhere. It is inarguable that drug and alcohol screening are an absolute necessity at times, but this does not mean they should be ordered capriciously. There should always be a firm, legitimate reason for the screening of any individual for drugs or alcohol. Profiling. A matter that has landed authorities in the hot seat repeatedly is the problem of profiling when it comes to drug and alcohol screening. Many studies have revealed the biases of authority figures based on who they select for drug and alcohol screenings. Some reveal a bias toward a particular ethnicity, personality type, gender or other demographic. Calling a drug or alcohol screening random when it is actually based on profiling is a clear violation of screening ethics. Unethical use of power. It is also possible for authority figures to exert unnecessary power in their drug and alcohol screenings for the purpose of intimidation or some other personal agenda. Drug and alcohol screenings should only be used to protect the safety and well being of everyone who could be affected by a misuse of drugs or alcohol. Ensuring safety. There are a number of jobs and tasks that people execute that can put people’s safety at risk if they are performed under the influence of a substance. Simple over-the-counter medications such as Benadryl can be dangerous to many jobs and tasks,which means that alcohol and narcotics are nothing short of life threatening when mixed with things like heavy equipment, driving or anything else that requires coordination. Having the option of drug testing people before they perform these tasks, if and when there is a legitimate need, is reassuring. Containing criminality. One of the most common reasons to enforce a drug or alcohol screening is to catch people by surprise who are trying to get away with using substances illegally. I am not referring to a person who is smoking weed within the safety of their own home. I am referring to people who drive hammered, take PCP and lash out at others or get stoned and attempt endeavors that require coordination, endangering others. Knowing that the law may enforce drug and alcohol screens to catch these perpetrators as well as follow up with them after they have been caught is a positive use of a drug or alcohol screen. Holding accountability. When a person has become so lost in their addiction or substance abuse that they are incapable of restraining themselves from it, they need to surrender their control to other people. Professionals who work at treatment centers need the authority to drug and alcohol screen clients to hold them accountable for their actions. Pre-employment measures. 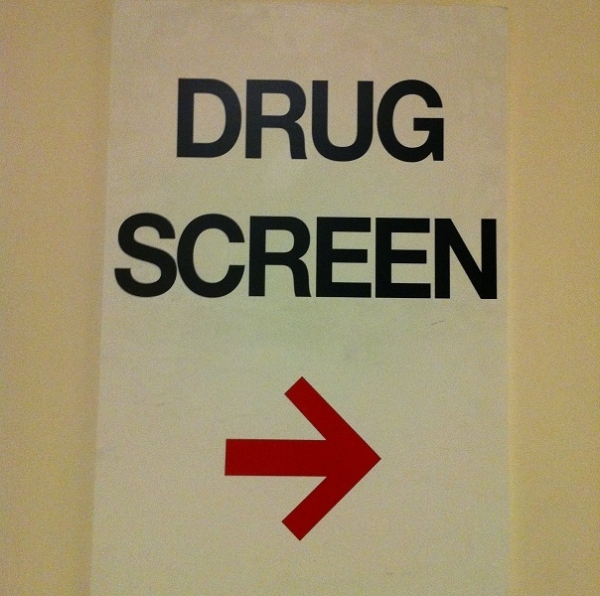 Many employers, particularly in the United States, practice drug screening as part of the interview process. Some practice alcohol screening as well, but much less commonly. The primary substance being tested for is THC. This chemical is the active ingredient in marijuana. It remains stored in the body’s fat cells far longer than any other substance. Although marijuana is becoming more accepted in the United States and Canada, many companies still enforce drug tests on employees because the company leaders are personally opposed to it. Potential DUI. 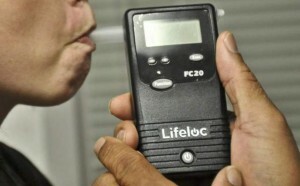 Police officers in most jurisdictions carry devices that screen for both alcohol intoxication and drug intoxication. Breathalyzer tests have long been toted by police officers to screen for alcohol impairment, but drug tests that can be administered to drivers are a more recent trend. Typically they come in the form of cheek swabs which can usually tell what narcotics the person has used recently. Court orders. When someone is on parole, house arrest or some other court ordered form of reporting to authorities, they are frequently ordered to submit to drug and alcohol screenings to monitor their sobriety. These are necessary ways of gauging whether or not a person is following their substance related court orders. Drug and alcoholic treatment centers. If a person has committed to addiction or substance abuse treatment, it is likely that they have signed a contract allowing themselves to be screened randomly for drugs or alcohol. This is part of submitting to the control of mental health specialists. They need to be able to intervene into their client’s lives as needed. Self testing. Many people self test out of sheer curiosity for how they will score. Most people who do this have recently used a narcotic or have drank alcohol and want to know how they would score if a screen were enforced upon them. People can exercise this option by buying a screening test at a local pipe shop, head shop or drug paraphernalia shop. What is Alcohol and Drug Screening?